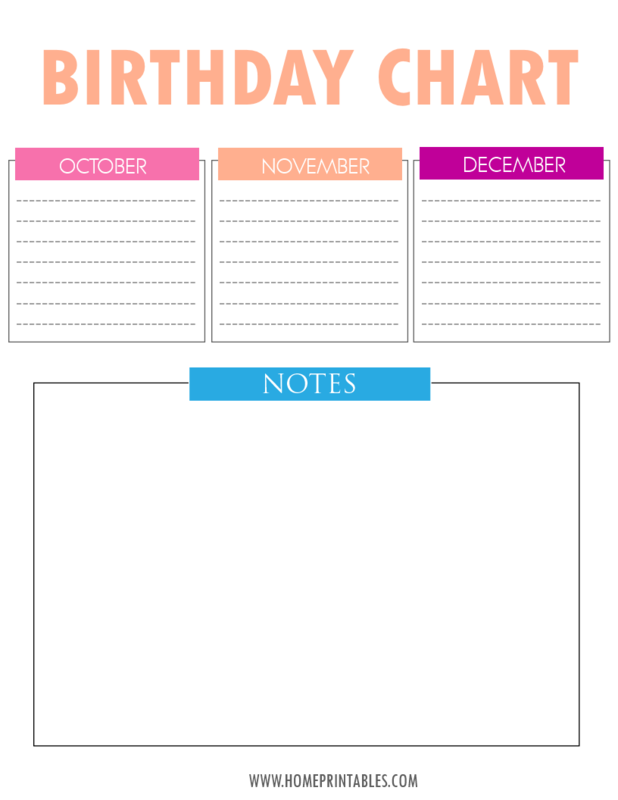 Your Free Printable Birthday Chart! Do you keep forgetting birthdays? Today on the blog, we are sharing some free printable birthday chart sheets which you can hang on your walls, clip in your organizer binders, or simply place on your work tables! This way, you’ll never forget any birthdays of friends and family members again! 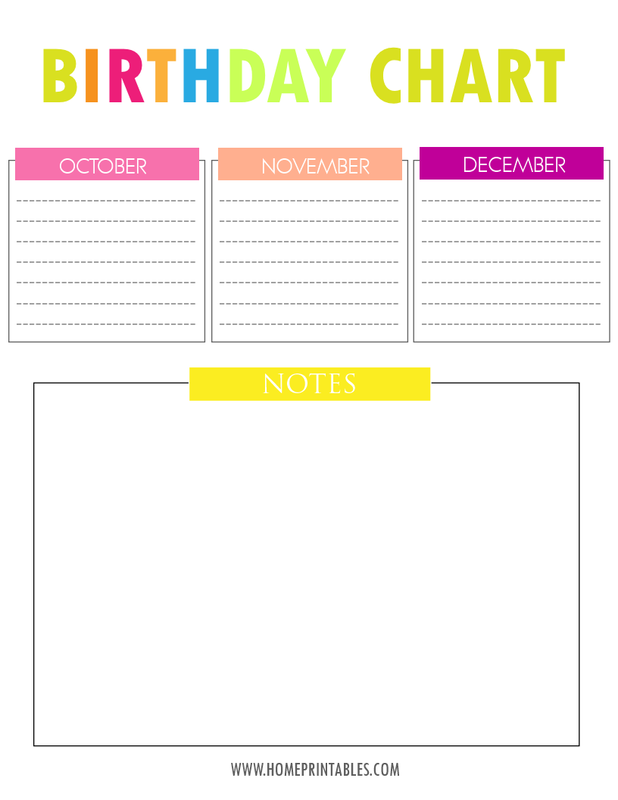 The printable birthday charts we’ve created come in two colors with one layout. They are both clean-looking, with each month of the year in different colored background. The “Birthday Chart” title also comes in cheerful shades to bring a happy vibe! Ready to download and print these charts? View them first to pick what you like (you can print both, though!). The first Birthday Chart freebie chart comes in a wonderful burst of happy colors. Those shades of green are my current favorite! They look so refreshing! This second Birthday Chart freebie comes a little subtle. The colors used are softer and lighter, but still looks lovely I so think! Which one are you going to use? For moms like me, I suggest that you also print a copy for your kiddos. The birthday chart will make a great reminder sheet for them to write on the birthdays of their friends and classmates. How do you download these sheets? Easy breezy! I’ve uploaded the photos above in high resolution and they can easily be printed on a letter-sized paper. To use, just click on the images, save and then print! Do not forget to set your printer to “High Quality” so you’ll get the colors in vibrant shades, exactly as how they are designed! These birthday charts are free for personal use. However, for website owners who would like to share my work (thanks in advance), please use the cover image only and link me back to this post. Do not distribute my work without my permission! I love these! But where are October, November, and December?